Roald Dahl’s 123 is a new board book for toddlers that offers a great introduction to counting in a colourful and fun way. 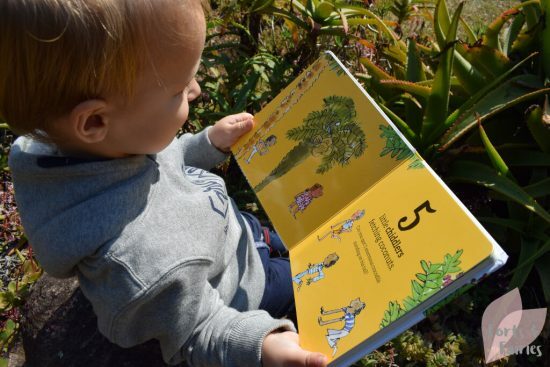 The book features the Enormous Crocodile on every page, and your child will love to spot him hiding in often hilarious places that imitate the story as told by Roald Dahl in his book The Enormous Crocodile. This popular picture book was first published in 1978 and was the first story of his on which he collaborated with his principal illustrator Quentin Blake. The story goes that the Enormous Crocodile wants to eat some tasty children for his lunch. He disguises himself as a croc on a merry-go-round, as a coconut tree, then a see-saw, and even as a bench, but each time his plans come up short. Roald Dahl’s 123 will see your little ones learning how to count from one to ten as they search for the crocodile up to his tricks on every page. The final page is a fold out flap showing just how enormous the crocodile is as he snaps his jaws and the children run for home. I love the art style of this book, so bold and brightly coloured with the Enormous Crocodile’s hiding spots making me laugh as much as my children. I also love how the book incorporates the use of the word ‘chiddler’, which is how Roald Dahl described children in his book The BFG. 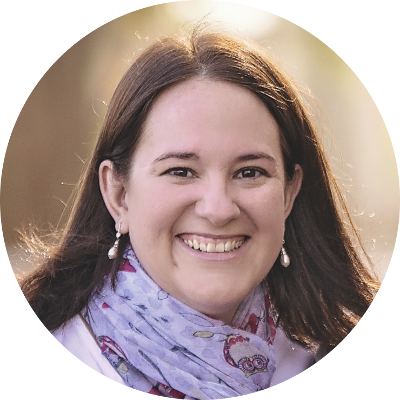 Having just seen the incredible performance of The BFG at the Elizabeth Sneddon Theatre in Durban, and calling my own children chiddlers ever since, it has really made Roald Dahl’s 123 a popular choice for storytime. If you’re a Roald Dahl fan or you want to introduce your children to the magic of Roald Dahl, Roald Dahl’s 123 is a great place to start. 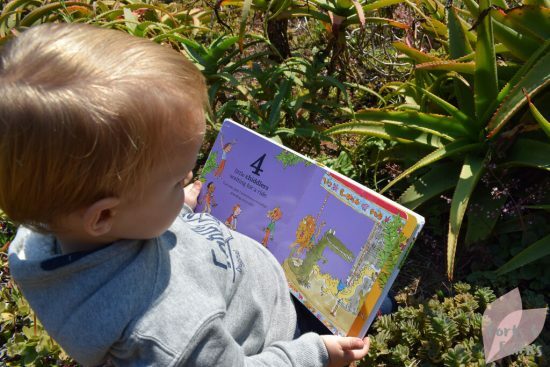 It’s a fun counting book that is sturdy for little hands to hold, and even features the bonus of an enormous snappy fold out flap! 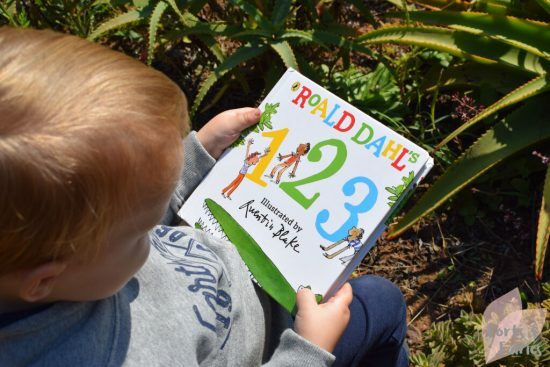 Roald Dahl’s 123 is available from bookstores and online retailers for a recommended retail price of R150. Thanks to Penguin Random House for inspiring me to share the magic of Roald Dahl with my chiddlers!